MORE than half the people with "potentially life-threatening” conditions fronting our emergency departments last month were not treated as quickly as they should have been. Last month 56 per cent of patients with "potentially life-threatening” needs were not seen within the recommended 30 minutes. 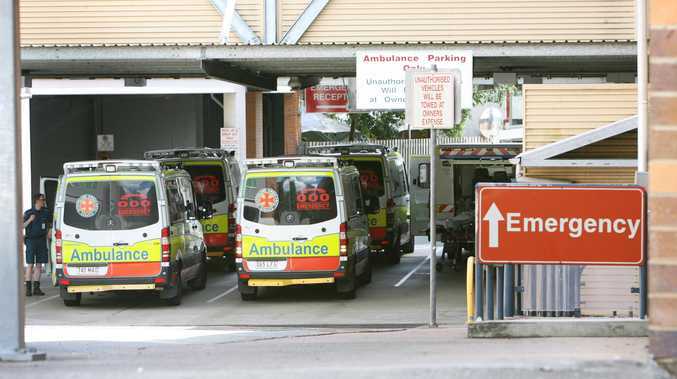 Overall, Queensland Health figures show 41 per cent of emergency department patients were not seen within the recommended time for their level of need. This was an improvement on the 43 per cent in November 2017. The figures show 23 per cent of patients with "imminently life-threatening” needs were not seen within the recommended 10 minutes. No patients with immediate life-threatening needs were made to wait more than the recommended two minutes.